The lesson is based on a BBC video report focusing on the psychology of music – and how it comes to affect shoppers during the Christmas season. The video is short, but contains a variety of challenging accents and is suitable for advanced students – both in groups and in one to ones. Follow up by asking them why those songs came to mind, which is their favourite, etc. How does slow music affect shoppers moods? How do shops benefit from playing music? Next give the students the gap-fill exercise asking them to listen again, and complete each space with one word. Each sentence will require either one or two words. The science behind ______________ music could be more complicated than we think. But actually, they could be enticing you to stay longer and __________ __________. Slow it down and we’ll relax, stay longer. __________ it ____ and it’ll improve our mood. No matter how rank and how awful the song is, you __________ __________humming it and whistling it. [blonde woman] It gets on your __________ after a bit but generally it’s all part of it, int’it? So while the shops are wishing it really could be Christmas every day, your __________ __________might not thank you. 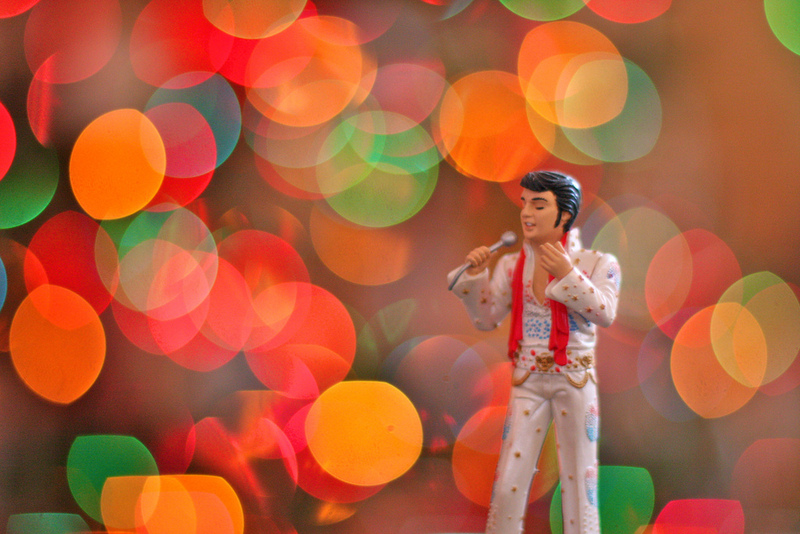 The science behind background music could be more complicated than we think. But actually, they could be enticing you to stay longer and spend more. Slow it down and we’ll relax, stay longer. Speed it up and it’ll improve our mood. No matter how rank and how awful the song is, you catch yourself humming it and whistling it. [blonde woman] It gets on your nerves after a bit but generally it’s all part of it, int’it? So while the shops are wishing it really could be Christmas every day, your bank balance might not thank you. After they have completed the exercise, get students to compare answers in pairs then review the answers as a group. Do you like the Christmas songs or do they get on your nerves? Do you agree that Christmas songs might entice you to spend more? What about music in shops in general, is the intention to make people spend more or simply to create a better atmosphere? Or does the latter influence the former? What effect does music in shops have on you? 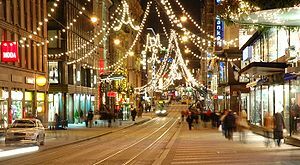 How important is the Christmas period for the retail industry, especially during this time of recession? Will people spend in the same way as always or will they be more prudent? Finish with a group review of some of the main points raised in the discussion. Review any language issues that came up. Write errors you have noted during monitoring on the board and encourage peer correction. Excellent! thank you for the clip, worksheet, and discussion points. I’ll use it for my conversation class – with some adjustments for the intermediate level (i’ll give them the words for the gap fill in a sidebar/column). also – a friend was telling me how at his restaurant, if the kitchen ever got backed-up with orders, and the patrons were getting restless at the tables, the manager was instructed to play disc 32 which starts with A-ha’s “Take On Me”… That would lead to everyone in the diner singing and bopping along, thus buying the kitchen another 3 minutes. haha, that’s a whole new take on using music. I used to play classical music to calm my classes of 12 year olds down. Of course they hated it, told me that it wouldn’t calm them down…then they calmed down. Music really works! Thanks for that, Gareth. Usually try to avoid Christmas lessons like the plague as they are really repetitive but this puts a different spin on the subject. Have also sent a few students to your blog for the great stuff there! My pleasure, Ross. I wanted to avoid the same old same old too and I thought this was quite appropriate; glad you liked it! And thanks for directing some of your students towards my blog. Looks like a great lesson but I was sorry to see YOUTUBE has removed the video from their servers. Any chance of finding it again? Thanks!